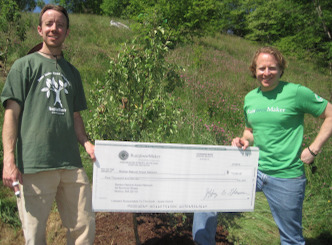 Invites You to Make Boston Greener! Whether you are an individual, attorney, or represent a law firm, we have options for you. 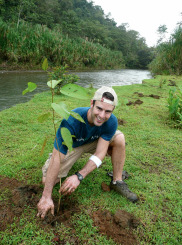 Become a RainforestMaker in a Big Way! We are looking for energetic volunteers. 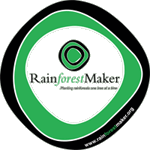 Helping RainforestMaker and the Earth has great potential to provide you with something you may have been searching for. SOUL NOURISHMENT! The below positions are available for immediate opening on a full or parttime basis. If you have passion and skills other than what is listed above, let us know. 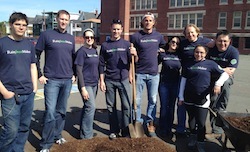 On April 28th we partnered with the Boston Natural Areas Network to plant trees at the former Emerson School, soon to be the Dudley Street Neighborhood Charter School (opening fall 2012). Click here to view details and photos of the event. On May 18th, we are planted trees at the Children Home. Event Details. On May 19th, are also planting fruit trees on a barren hill side at the Factory Hill Playground in Hyde Park and the fruit will be used for the local community. Event Details.